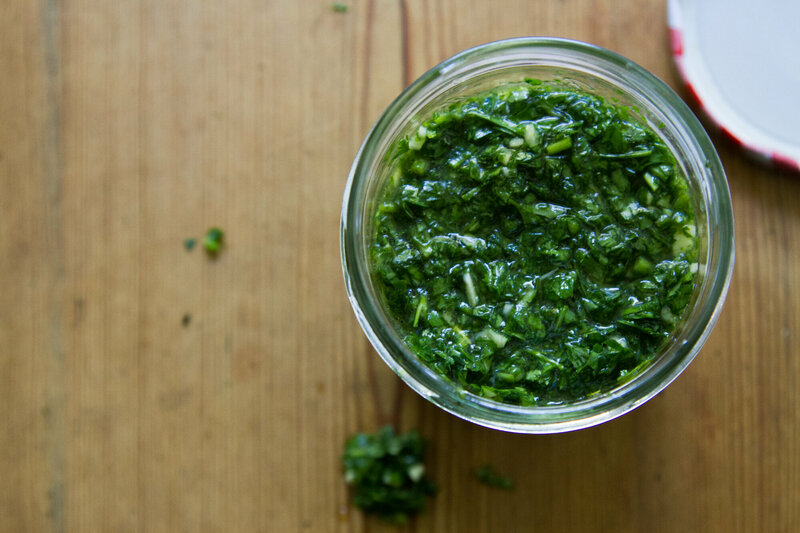 waste not: chimichurri. – Reading My Tea Leaves – Slow, simple, sustainable living. Waste Not is a collaboration with my friend, Carrie King. 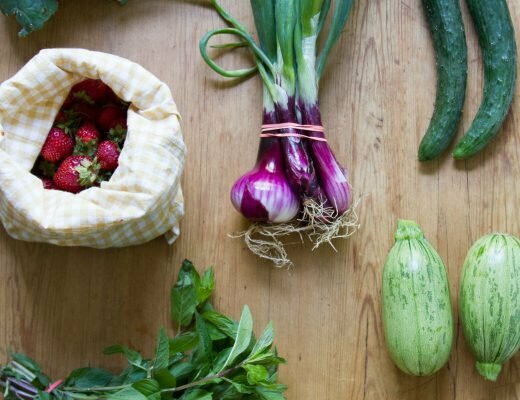 The premise is simple: Carrie, a food writer and editor, shares a recipe highlighting at least one particular way that we can curb food waste. I make it at home, take a bunch of pictures, and share it with everyone here. For those of us who lack a fresh garden to pluck from, large bundles of fresh herbs procured at the farmers’ market can require a concerted effort to get through. They make every single thing taste better and yet, washed and wrapped up in a towel to extend their shelf life (the only thing that does the trick in my book) they can also be easily be forgotten. I have no doubt that I’d have a robust savings account if only I’d been able to resist every $3.00 bunch of fresh cilantro that I’ve allowed to wither and dry up in my fridge. But forgoing fresh herbs altogether would be a sad conclusion indeed. Until we each have a garden from which we could harvest only what we need on a given night, we need a solution. 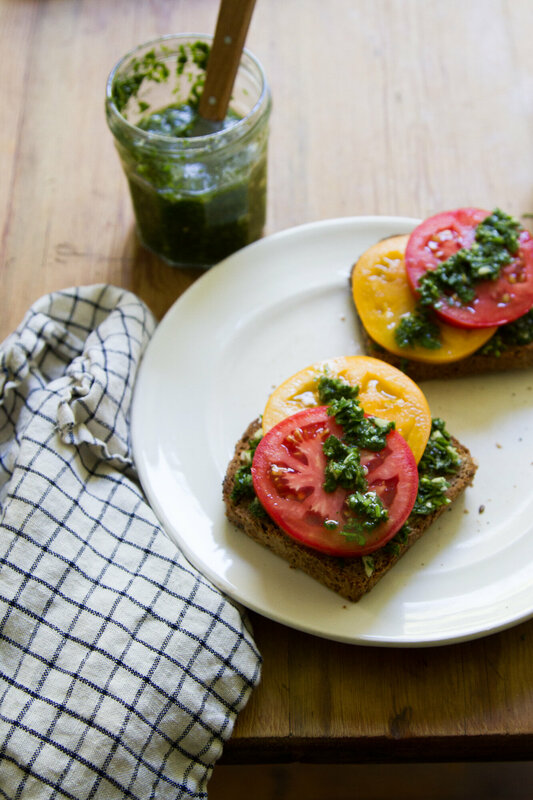 Carrie’s latest is a truly delicious and extremely easy way to stretch fresh herbs more wisely. In chimichurri, your otherwise wasted savory herbs enter into a different and far tastier savings account. One you can use to freshen a salad, punch up your grilled vegetables, or drizzle over thick slices of farmers’ market tomatoes over the course of a week. There are few things I love more than big, beautiful bouquets of fresh herbs. And there’s perhaps no item I loathe more in the grocery store than the tiny plastic cases containing 2 or 3 sad looking sprigs. You know the ones—lined up in a neat row at the end of the produce section. I try desperately to never buy those herbs for lots of reasons: We’re drowning in plastic, plus they never look too great (and I can’t blame them, all cooped up in there!). But, also, they are such a tremendous rip off compared to the looser bunches you can find. I admit that I am lucky, my town has a vegetable market that always sells big bundles of most herbs, no matter the time of year. But many grocery stores sell looser bunches of some herbs—particularly flat leaf parsley, basil, cilantro, and mint—all year round. And, I know it might be tempting for some to grab the flat-packs of those herb rations because, from a food waste perspective, they know the struggle it is to make it through huge bunches. But, there are lots of ways to extend the lives of your herbs so that you can really make them a value-add, rather than an extravagance that ends up in your compost pile. The nice thing about herbs is that they have the ability to elevate a dish with very little effort. The use of fresh herbs is a major differentiator between the food of a pro chef and the food of the home cook. But, pro chefs are adept at making herbs work for them. Parsley stems are saved for stocks. Anything still tasty, but no longer perky enough to grace a patron’s plate, is turned into any one of an assortment of marinades and sauces and purées. But, at home it’s a different ballgame. Who among us hasn’t been left with the end of a dying bunch of herbs left for too long in the harsh chill of the fridge? Even with best intentions, it can be hard to get through an entire bunch, let alone multiple bunches, before they are no longer usable. Some are heartier than others: fresh bay leaves, rosemary, thyme, even sage. But, when it comes to the delicate leaves of mint, dill, cilantro, parsley, basil, oregano – it’s always a race against time! 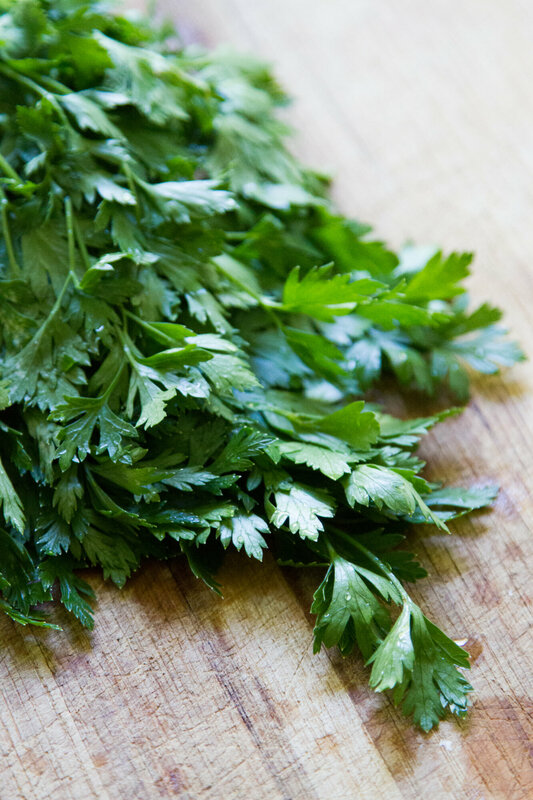 So, there are ways that you can extend the lives of these herbs without having to inundate your taste buds with cilantro every night for 4 or 5 nights straight. 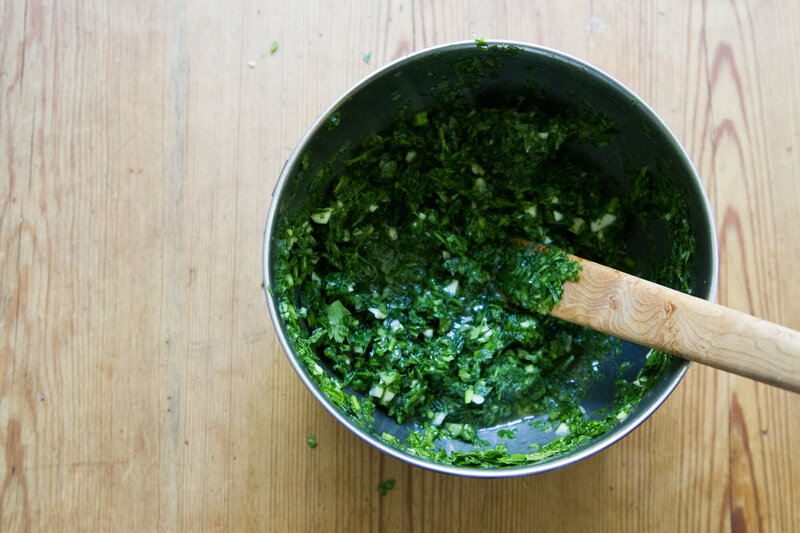 One foolproof, delicious way is to make a chimichurri sauce. We have Argentina and Uruguay to thank for chimichurri, where they typically use the vibrant, acerbic sauce to counteract their famed big, unctuous cuts of grilled steaks and other meat. 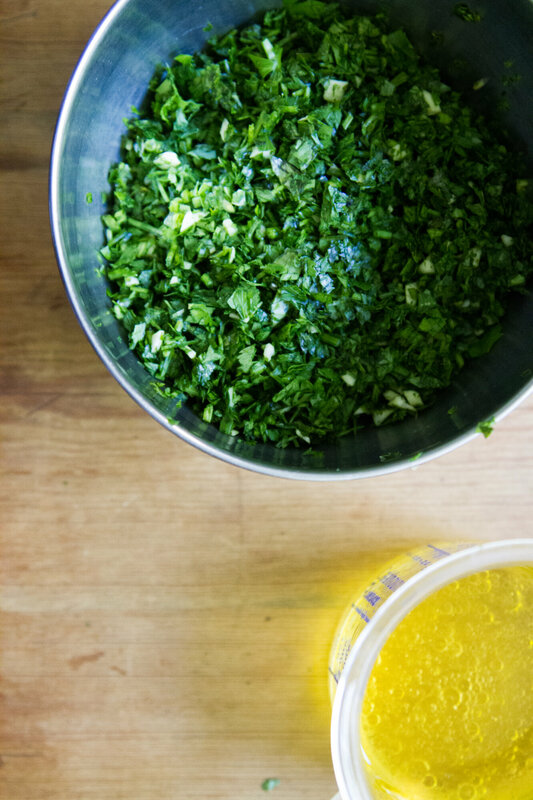 Traditional chimichurri recipes typically involve parsley and oregano, but, just as pestos have become so much more than the traditional basil and pine nut combo, chimichurri sauce is equally in play. 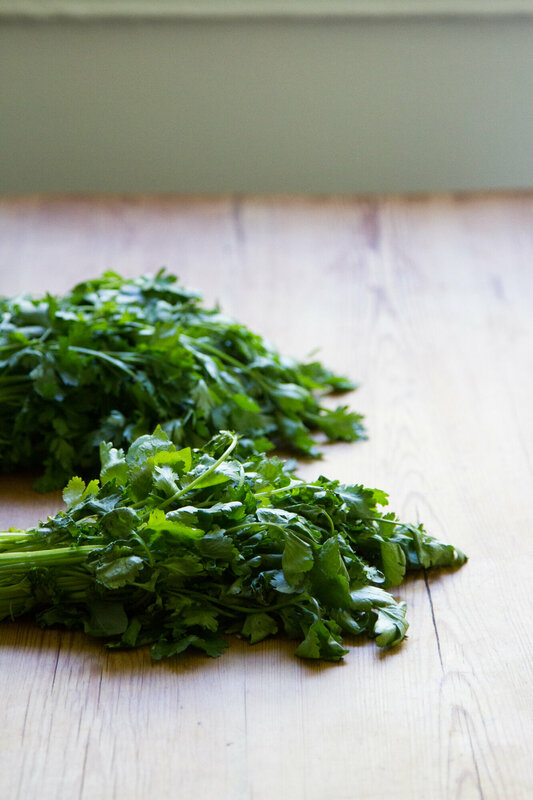 I don’t know about you, but the two herbs that tend to be the remains I’m most often left staring at are parsley and cilantro. That’s what I rely on for this recipe. Transfer minced herbs and garlic to a bowl and stir in vinegar and olive oil. Season with salt and a pinch or two of chili flakes or cayenne for spice. 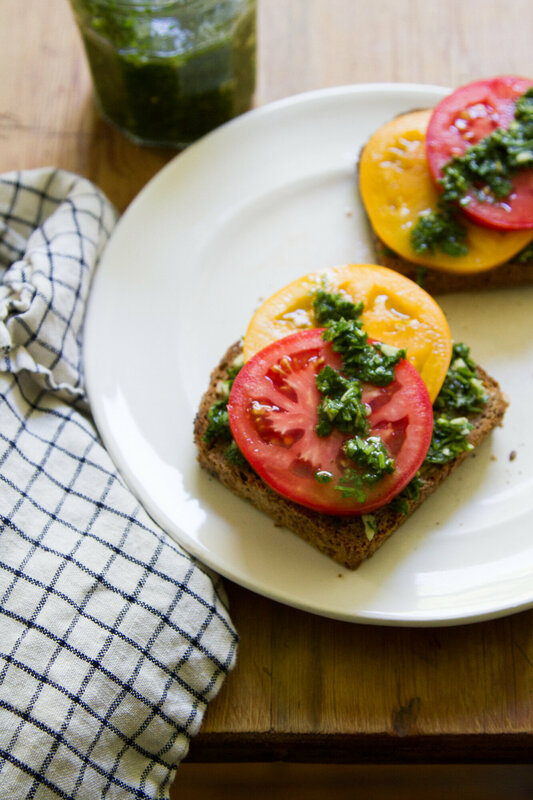 If you wanted to use only one or the other, cilantro or parsley, you could definitely do that. Or, if you want to throw in a few leaves of fresh mint or basil that you had languishing in the fridge as well, you could do that, too! Or, give a traditional recipe a go with strictly parsley and a bit of oregano. Some people even like to add a teaspoon or two of ground earthy spices, like cumin or coriander. This sauce is meant to be a bit loose, not as thick and unified as a pesto. So if you find it too thick, add a bit more vinegar and/or olive oil. This sauce was made to stand up to the char and smoke of the grill, so serve it over grilled veggies, steaks, chicken, or white fish. Drizzle over flatbreads piled high with seasonal sautéed veggies. Make your morning eggs pop, or serve with tacos! 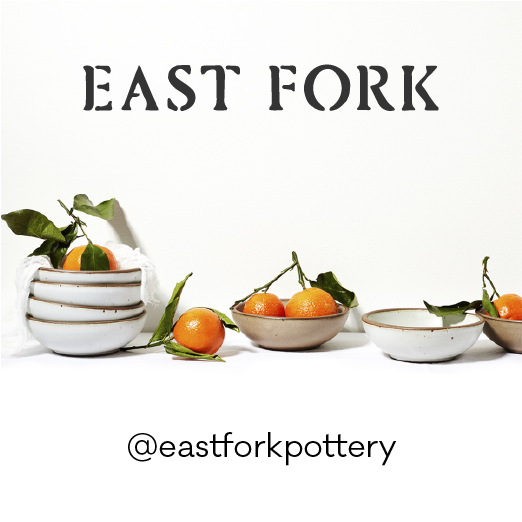 Thanks to Carrie King for writing this post and developing the recipe. 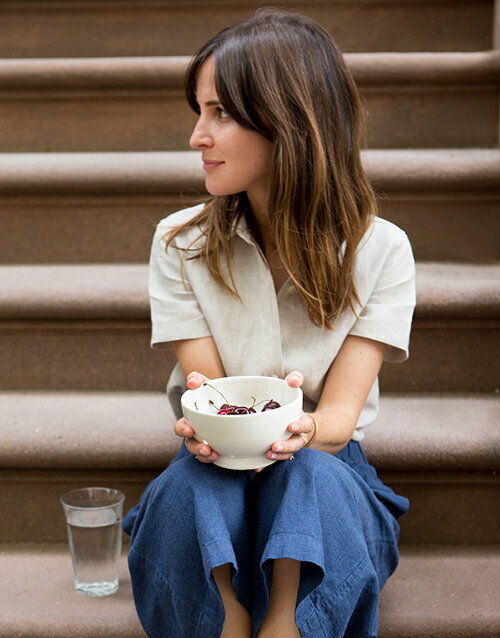 When Carrie’s not encouraging me in tiny-apartment cooking adventures, she’s a food writer and editor. Her cookbook work includes Breakfast, Lunch, Dinner….Life with Missy Robbins and The Chef Next Door with Amanda Freitag. 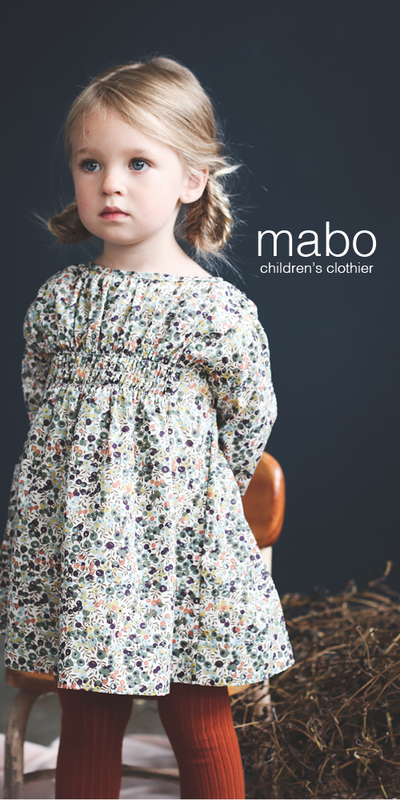 She has contributed to Gather Journal and Life & Thyme and works as recipe editor at Marley Spoon and Dinnerly. Thanks to culinary school and lots of time spent in kitchens, both professional and home, she can cook just about anything, but usually just wants a few couple few slices of pizza. 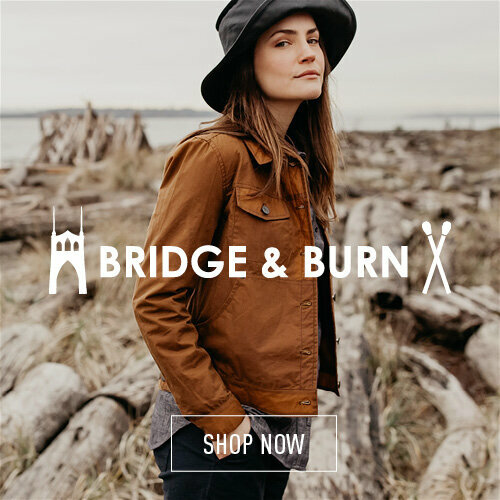 Our checked napkin is from Fog Linen. 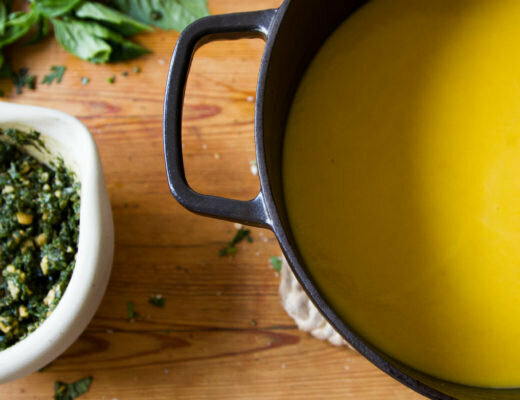 waste not: carrot ginger soup with carrot top-herb pesto. 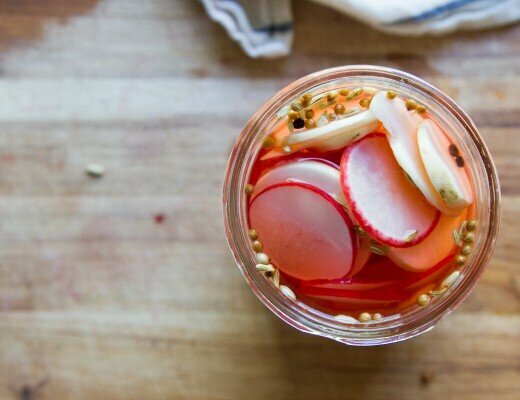 make your own pickled radishes. This recipe alone makes me want to start a garden, if only for herbs. I read once that pesto can be frozen in ice cub trays and used year-round. I wonder if the same holds true for chimichurri? What a boon that would be mid-January. Came just when I needed it. I have leftover cilantro and basil from the weekend shop and cook, and this fills the bill perfectly. This sounds great! How long would you expect the sauce to last in the fridge? I’d say a week or so? I used up mine in five days and it was still delicious! Another great way to use up herbs that I just learned this summer: Green Couscous from Yotam Ottolenghi’s Plenty cookbook. The recipe for the herb paste lists a specific amount for each herb, but I almost always end up flexing the quantities based on what I have and what I have left over. Yum! 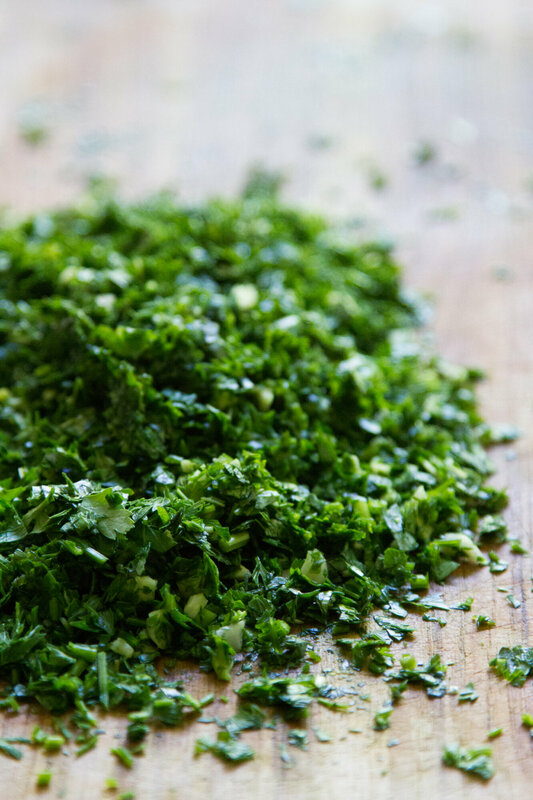 So many similar iterations (gremolata, salsa verde, parsley oil) for putting those fresh herbs to good use!